A non-deductible Individual Retirement Account (IRA) is a traditional IRA that contains non-deductible contributions. The Internal Revenue Service (IRS) permits people to convert money from a traditional IRA to a Roth IRA to take advantage of the tax-free withdrawals offered by Roth IRAs and Roth IRA's exemption from required minimum distributions. However, the IRS requires you to include any deductible contributions and earnings of taxable income in the year that you make the conversion. Request a conversion from your traditional IRA containing non-deductible contributions to your Roth IRA by completing the Roth IRA conversion form available from your financial institution. Once you have submitted the form, the financial institution will automatically transfer the money. Report the amount of the conversion on line 16 of form 8606. For example, if you are converting your traditional IRA with $25,000, you would report $25,000 on line 16. Report the amount of non-deductible contributions made to the account on line 17 of form 8606. Continuing the example, if you had made $15,000 of contributions, you would report $15,000 on line 17. Subtract line 17 from line 16 and report the total on line 18 of form 8606 to determine the total taxable amount of your Roth IRA conversion. Report the total amount of your conversion on your income taxes. 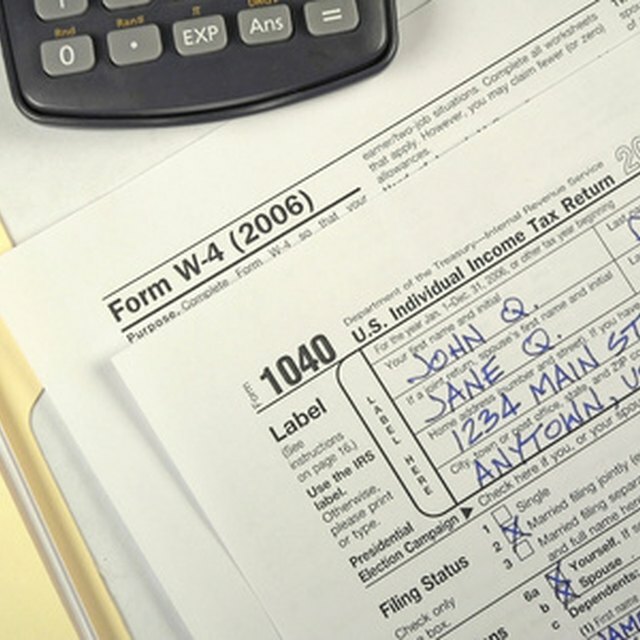 If you use form 1040A, the total amount is reported on line 11a. If you use form 1040, the total amount is reported on line 15a. Report the taxable amount of your conversion on your income taxes. If you use form 1040A, the taxable amount is reported on line 11b. If you use form 1040, the taxable amount is reported on line 15b. This amount will be included in your taxable income. Starting in 2010, the IRS removed all income restrictions on who can convert from a traditional IRA to a Roth IRA.